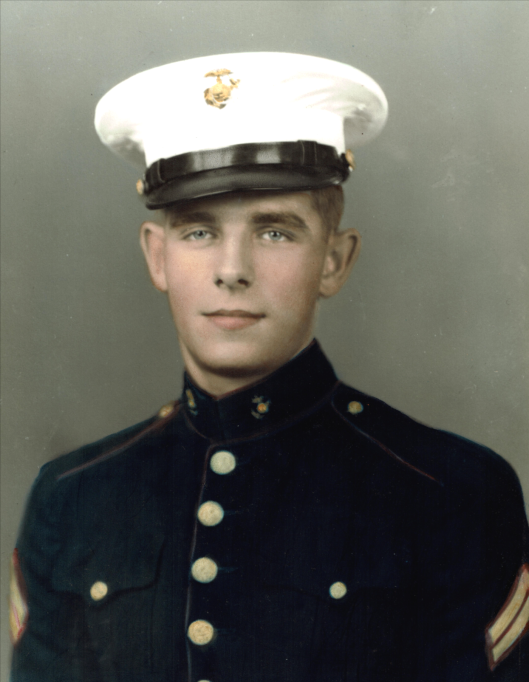 Obituary for Robert "Bob" Henry Poucher | Munden Funeral Home & Crematory, Inc.
Robert “Bob” Henry Poucher, 87, of Morehead City, passed away Thursday, April 11, 2019 at Carteret Health Care. His funeral service will be held at 11 a.m. on Monday, April 15, 2019, at Temple Baptist Church in Morehead City, officiated by Dr. Terry F. Johnson. Interment will follow at Gethsemane Memorial Park. Bob lived a remarkable life, graduating from Fort Ann Central School in 1950, before attending Oswego State University. 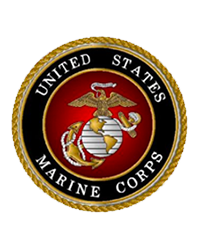 He served in the United States Marine Corps as an Aircraft Engine Mechanic during the Korean War, reaching the rank of Staff Sergeant and flew as a crew member on transports in combat zones. Bob met the love of his life, Velma Conway, while stationed at Cherry Point, North Carolina. Upon his discharge, they married and moved to Fort Ann, New York, the beginning of a wonderful 63-year marriage. Bob served as Plant Engineer and Supervisor of NIBCO of New York in South Glen Falls, NY during a 34-year career. Upon his retirement in 1989, Bob and Velma moved back to Morehead City, North Carolina where they have resided for many wonderful years. Bob was employed by Food Lion and also continued to work as a self-employed contractor. He additionally enjoyed working for many years at Williams Hardware Store in Morehead City. He was a former School Board member and president. He was a Deacon and Trustee at Temple Baptist Church as well as a former Gideon. Bob was a loyal and dependable man who loved the Lord, his family and his friends. He was a man of his word who could be counted on to do anything for anyone. He is survived by his wife, Velma Conway Poucher of the home; son, Daniel Robert Poucher and wife Beth of Granville, NY; grandchildren, Bethany Faith Poucher Valle-Downs and Hannah Joy Poucher; great-grandchildren, Audreyanna Valle-Downs and Caleb Daniel Valle-Downs; and brothers-in-law, Harry Conway and wife Ernestine and Mike McGuinn and wife Janet; and many other dear family members and friends. He was preceded in death by his parents, David Henry Poucher and Marguerite Poucher; and daughter, Bonnie Mangialomini. Family will receive friends from 10 a.m. to 11 a.m. on Monday, April 15, 2019, at Temple Baptist Church. Flowers are welcome, or memorial donations may be sent to Temple Baptist Church at P.O. Box 842, Morehead City, NC 28557.